← Giant Normura jellyfish off the coast of Japan..
Phialella Zappai. 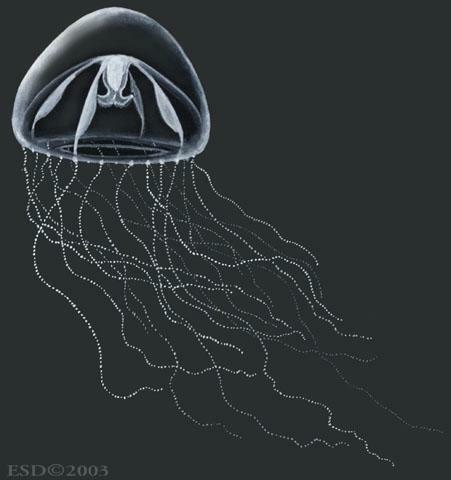 What might interest you most about this jellyfish is its name. That’s because the scientist who discovered this type of jellyfish among the many different jellyfish out there in the world was a Zappa fan. If you can’t tell from just looking at the name, it is named after musician Frank Zappa. It was named by Ferdinando “Nando” Boero, a jellyfish expert from Genova, Italy who wrote to Zappa hoping to meet the musician whom he admired. Zappa replied saying “there is nothing I would like better than having a jellyfish with my name” leading to a meeting, and eventually a friendly acquaintance, between the biologist and the musician.